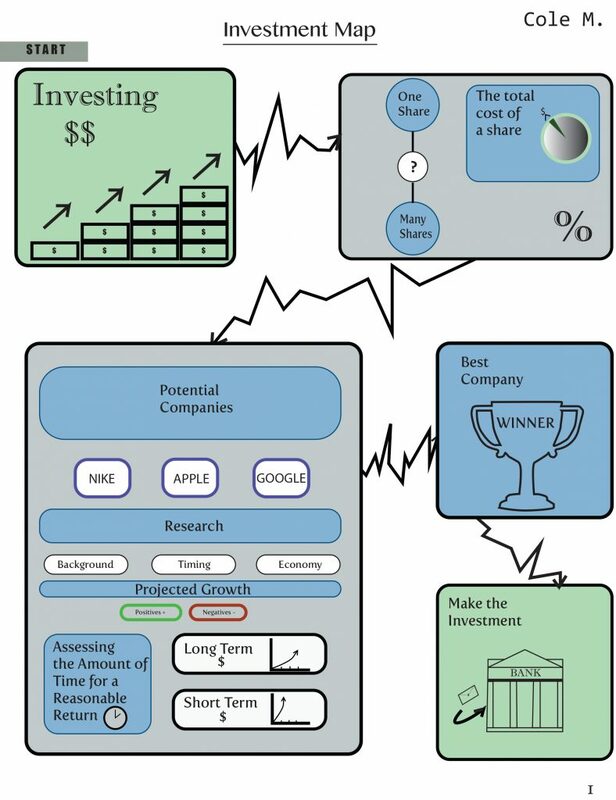 This map represents the investment process with stocks. It shows only the main steps of the very many steps in which investing comes with. The extensiveness of this map was what I found to be the most challenging. Along with the design also came research because I personally have never invested into a company, but always found it interesting. 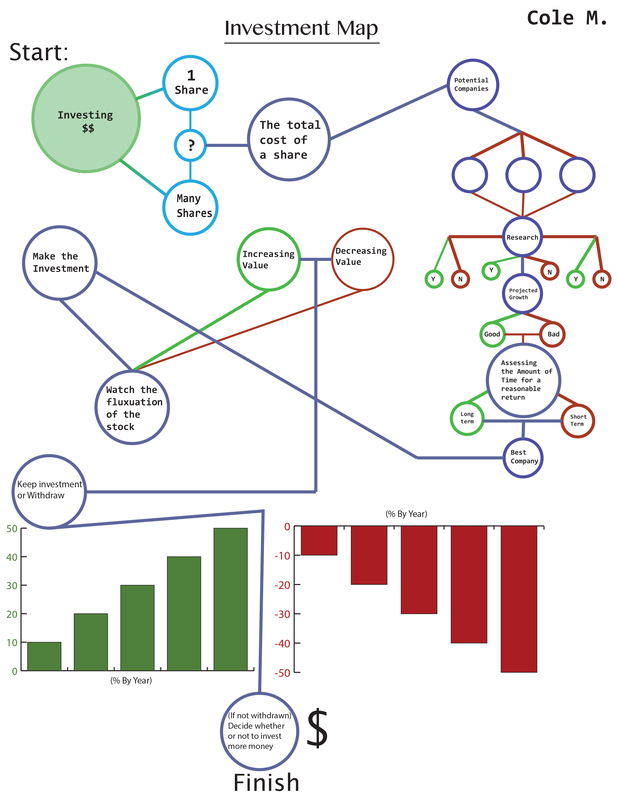 I had to find the steps into investing and translate them into these graphs and charts. This was a time consuming process trying to plan the flow of things as well as the overall layout.